Ram to team up with his lucky mascot? Energetic Star Ram has been going through a rough patch with no solid success to revitalize his career. Ever since the 2011 blockbuster Kandireega, Ram has had no prominent hit so far barring Pandaga Chesko, which was termed an average venture. 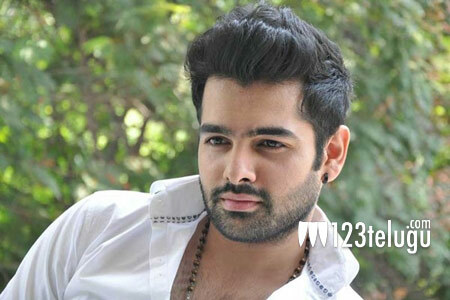 Ram is currently shooting for a film tentatively titled Nenu Sailaja. Until a week ago, there were reports that Ram would be teaming up with Sreenu Vaitla, who gave him a superhit with Ready. However, latest reports reveal that Ram would be joining forces with his lucky mascot Santosh Srinivas of Kandireega and Rabhasa fame. Apparently, Santosh Srinivas impressed Ram with a storyline recently and is currently working on the full script after getting the green light. Reports also reveal that either Ram’s uncle Sravanthi Ravi Kishore or Gopi Achanta of 14 Reels banner will produce this film. Keep watching this space for more interesting updates about this project.